When I created this blog back in 2013, my aim was simply to learn ggplot2. Thanks to the feedback and advice from the R community, I continued to learn new stuff and somehow found an opportunity to work for Domino and Virgin Media. I wouldn’t say I have seen enough to make a fair comparison with other programming communities. But so far the support from the R community, for me, has been truly special! I believe blogging is one of the best ways to contribute so I better get back to the writing habit! For the next post, I would like to talk about using R with other Microsoft tools (SQL Server, PowerPoint) in a commercial environment. I met Alex Glaser and Wojtek Kostelecki after my LondonR talk. They have already set up a meetup for Kagglers. 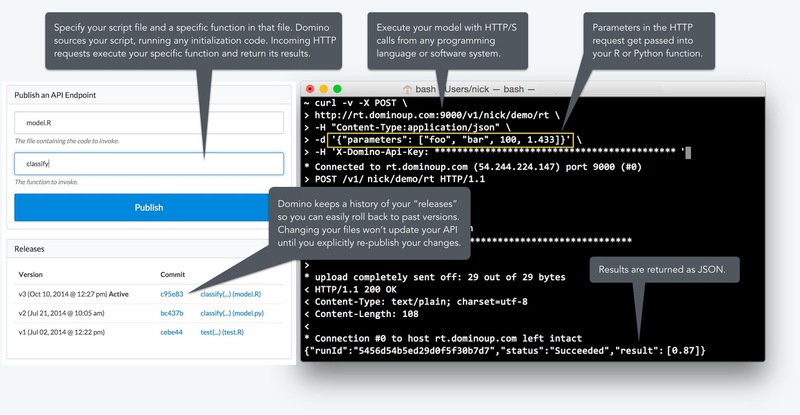 We are working on a collaborative project to build / test / stack models on the Domino platform. For more information, join the meetup first. Let’s Kaggle together!